With 25 years history in selling Russia and other European destinations, we know what makes a great holiday experience. Together with our long standing partners we source the essential ingredients that make up these specially selected cruises, from the boats themselves, to the dedicated crew and individual highlights that help make a truly magnificent holiday. We respect our reputation as standouts of the industry and as a team of travellers ourselves, we understand your expectations and are waiting to go above and beyond to meet them. Businesses are judged on their approach to customer service, market potential, innovation, approach to staff development and business strategy to secure the business growth into the future. 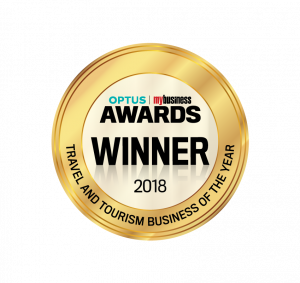 Beyond Travel was honoured to have been nominees in the 2017 Optus My Business Awards, for Travel and Tourism Business of the Year and Business of the Year. Competing against 2,500,000 small to medium businesses in Australia, the company was again nominated in 2018, and was awarded the winner of ‘2018 Travel and Tourism Business of the Year’.